Telemedicine abortion technology has evolved since it started 10 years ago, moving to a secure online system. 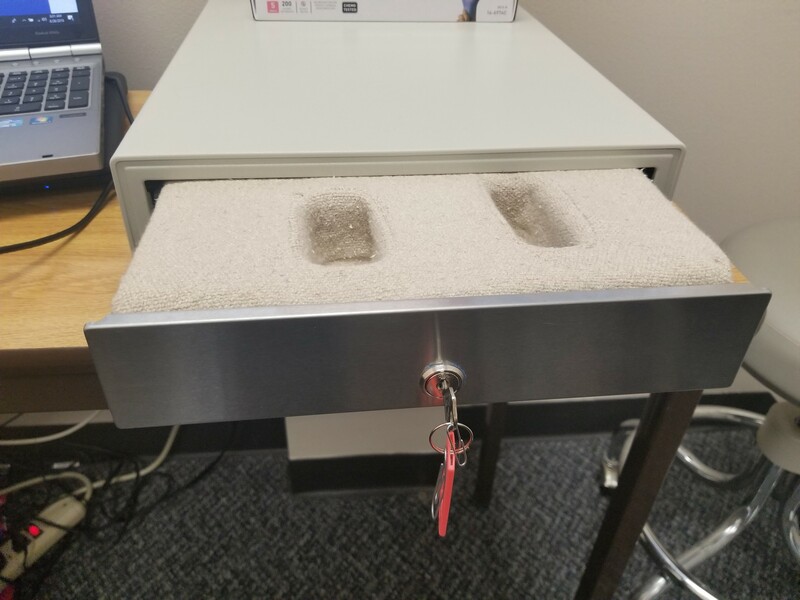 According to Rachel Goss, the system is HIPAA-compliant and uses separate channels to operate the video conferencing and the cash drawer. President Donald Trump has stood strongly behind the anti-abortion movement, and his Supreme Court picks have some questioning the future of abortion access. However, technology could be key to access, too — for both sides of the abortion debate. The room looks like an office. There are tables, chairs, a laptop and a cash register — though that register isn’t for money. The space is used for telemedicine abortions in Planned Parenthood’s Iowa City clinic. 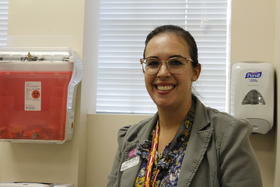 A woman would enter, finishing up a health screening with a clinician and giving informed consent. Then, with the clinic employee still in the room, the patient can sign into a secure online system and talk to a physician licensed to work in that state over the computer screen. The doctor has the patient’s health information and, after talking about health risks and making sure everyone still wants to move forward, the doctor can open the cash drawer remotely, which contains medications. “Your Mifeprex, the abortion pill, and the Misoprostol, the medication that actually expels the contents of the uterus. Both are part of the medication abortion regimen,” said Rachel Goss, surgical services director for Planned Parenthood of the Heartland. Her organization pioneered a version of this telemedicine technology 10 years ago, and she said it gives women access to abortion when physicians are sparse. “We in Iowa have the same access and provider shortages that are seen across the country. It is hard to find new abortion care providers,” she said. 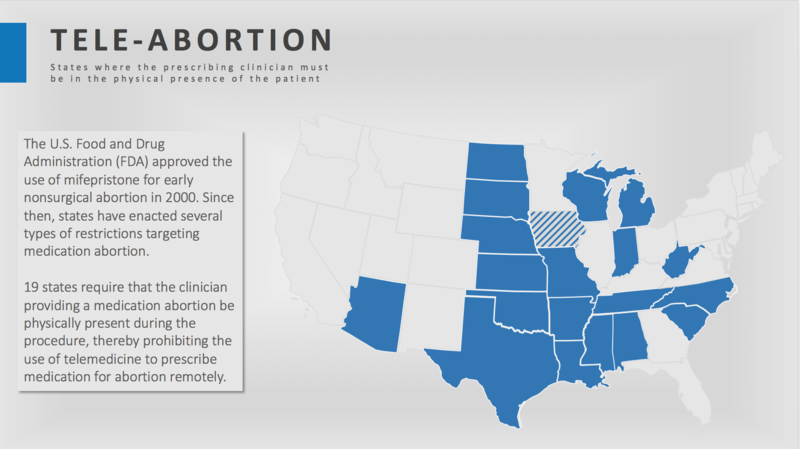 One University of California, San Francisco study found that telemedicine abortions were as safe as having a physician in the room, but 19 states have banned the technology, requiring the doctor to be there. Iowa legislators tried this ban, too, but it was shot down by the state supreme court in 2015. If federal law does change and states make abortion illegal, more women could travel to states where abortion is protected. Telemedicine abortion technology is just one type of technology that will impact and change the abortion debate. These technologies may not change people’s philosophies, but will change how they debate and where. This is where Illinois Right to Life Director Mary Kate Knorr does her work. Her desk is well organized for how many stacks of papers she has. Her gold cross necklace shines out over a red blouse. 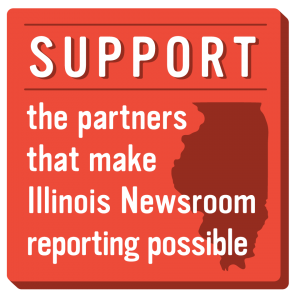 Mary Kate Knorr is the executive director of Illinois Right to Life. 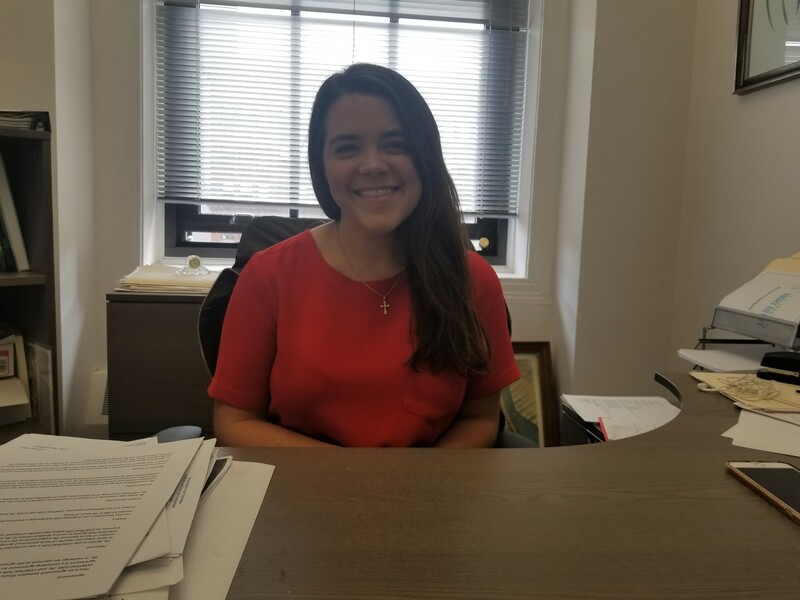 She started the job in March 2018, overseeing the day-to-day operations of that organization. 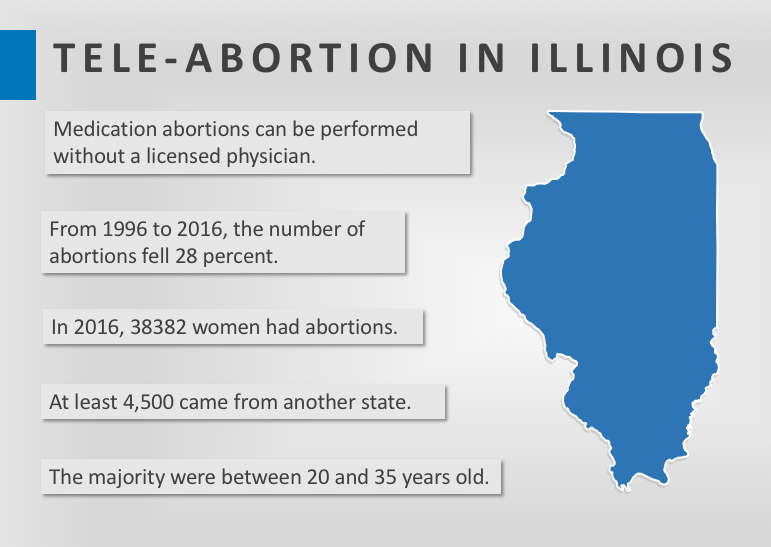 She says the group’s next push in Illinois will to have more state oversight of clinics that offer abortion. Knorr said ever-clearer images in utero help Right to Life’s mission, too. “Ultrasounds allow someone to see what they couldn’t see before,” she said. At Planned Parenthood, Goss said seeing the ultrasounds has convinced some women to change their mind about an abortion, but not a large percentage. For Knorr, a future technology she hopes to see is something that shows even more detail of what’s growing inside. “It’s incredible what we can see now versus 20, 30 years ago,” said Dr. Andrew Satin, director of gynecology and obstetrics at Johns Hopkins Medicine. Satin said imaging, from ultrasounds to cameras that look directly inside a womb, has made a big impact in obstetrics and gynecology. “If you look at when I started training back in the 80’s, an ultrasound was barely recognizable,” he said, describing images that could identify maybe a spine and a heartbeat. Now, he said two-dimensional, three-dimensional and even four-dimensional ultrasounds help doctors see, diagnose and sometimes cure health issues in the womb that they couldn’t have a few decades ago. These things may not change people’s beliefs about abortion — pro-life and pro-choice groups may embrace any technology to match their own viewpoints — but these things will play into individual decisions. Data from Illinois Department of Public Health. And there are plenty of other technologies to factor in, too, like contraception apps to prevent pregnancy. Some send birth control to women’s houses, while others track a woman’s cycle using menstrual periods and temperatures. One of these cycle-tracking apps even got Food and Drug Administration approval in August. Drones could play a role, too, delivering abortion medication to women’s homes. People have looked into it, and activists have already used them to bring abortion medication to women in other countries. Goss said people within U.S. abortion clinics want to continue expanding access, but there’s a catch. But for the abortion rights and anti-abortion movements, the real technology affecting abortion now is the internet. It’s something that wasn’t around when this became a big political fight in the 70’s. If abortion access changes, women can go online, ask questions, and find answers to whatever they might be looking for.